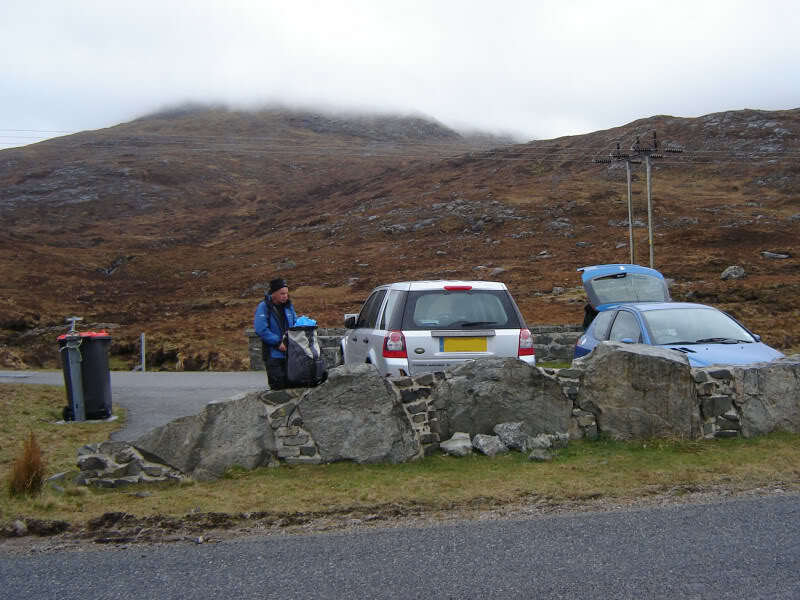 Within 15 minutes of arriving in Harris, we reached the small car park at the base of Clisham. 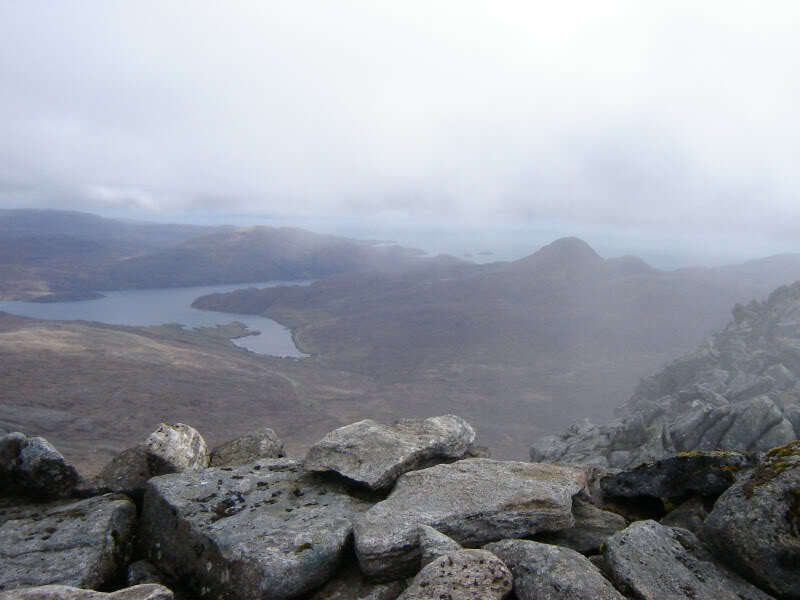 As per the past three days in Skye, the hills were again covered in clag . 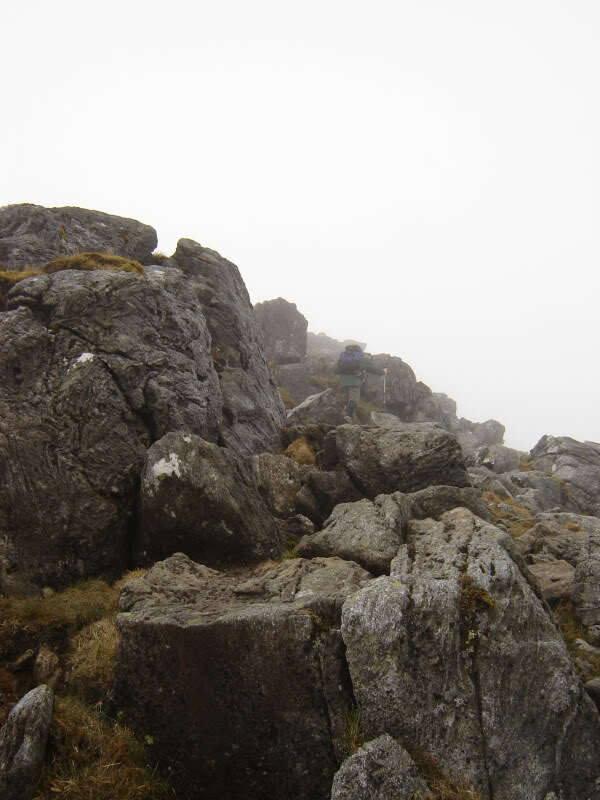 The initial path was a bit wet underfoot. 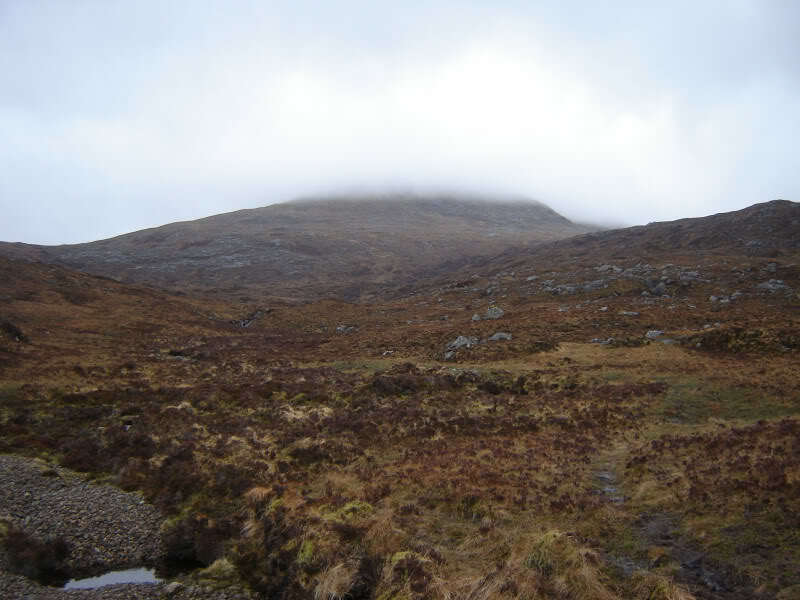 It wasn't long however before the path faded away and it was then just a case of ascending mainly grassy slopes up the hill. 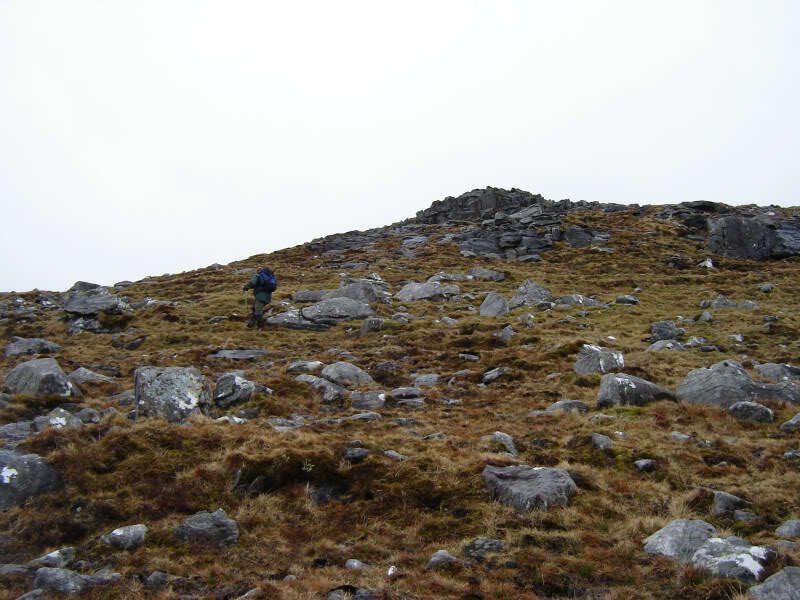 As we gained height the hill became much rockier, with lots of large boulders. 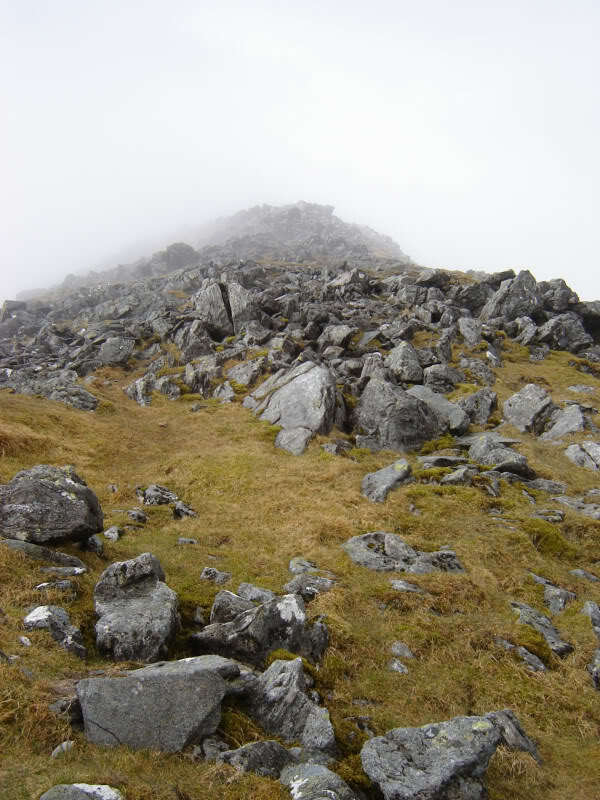 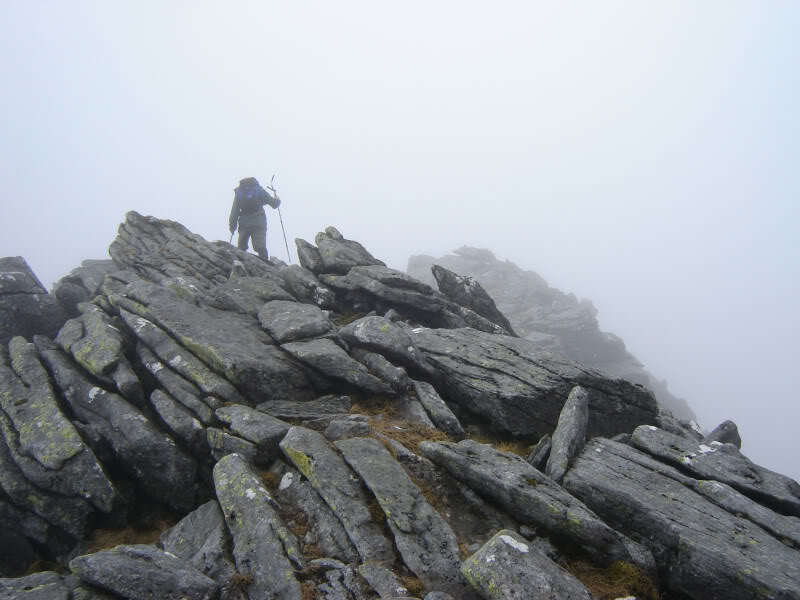 The final stretch to the summit required a bit of care, no scrambling though. 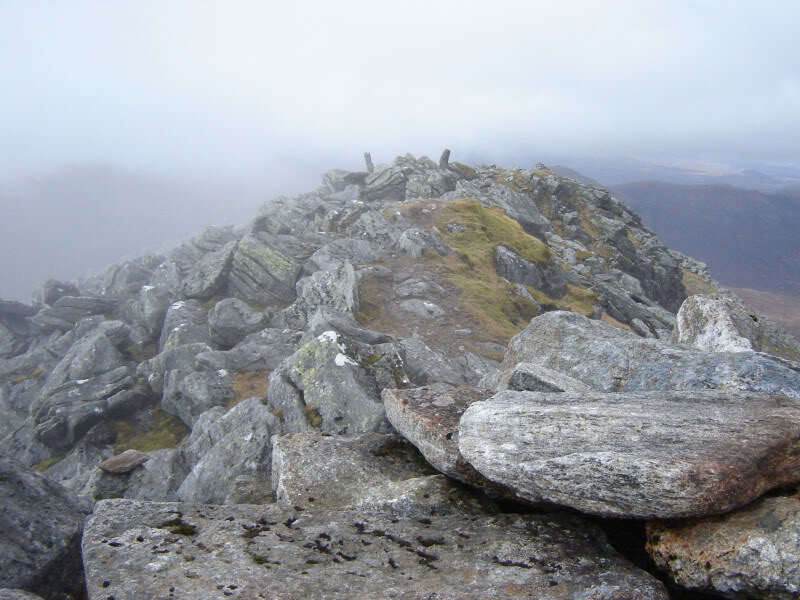 Malcolm was first to the summit and was found in his usual hill pose - eating a piece . 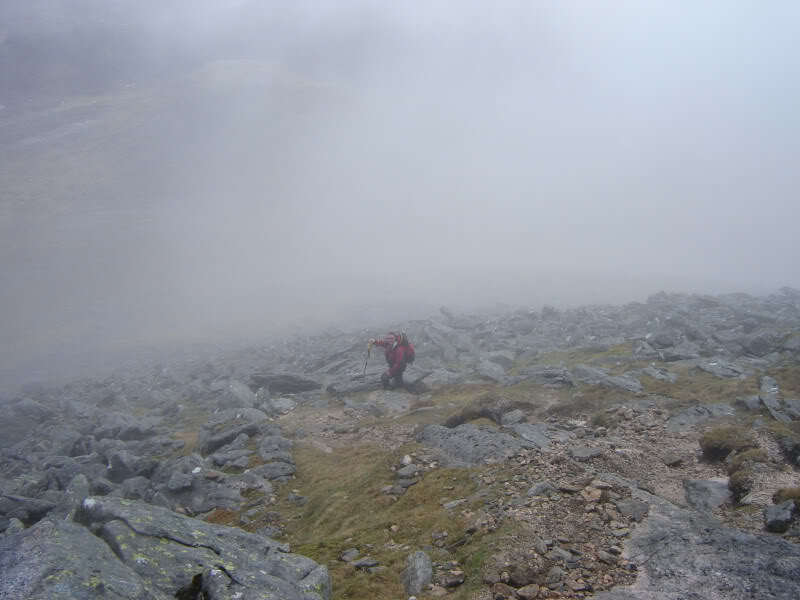 The hardest part of the entire walk was the climb into the shelter! 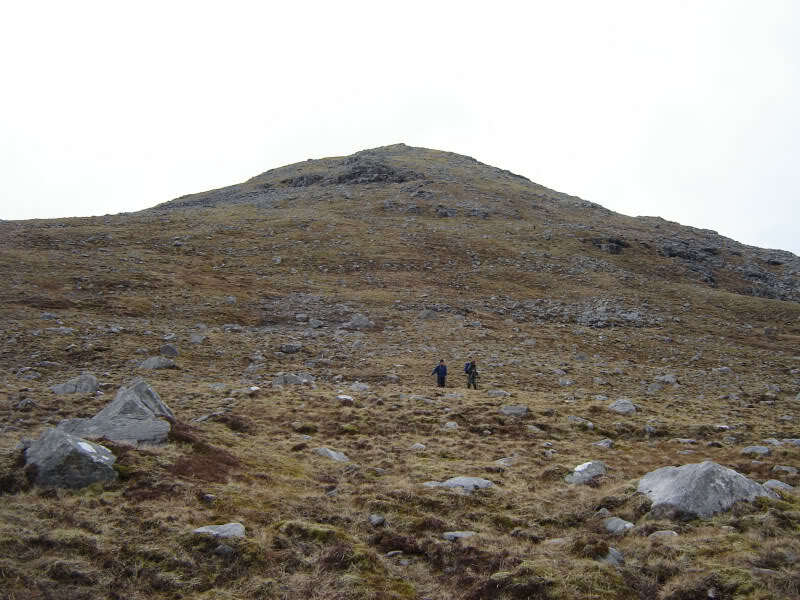 Once everyone had reached the summit, we continued a short distance along the ridge to another cairn (just in case it was higher). 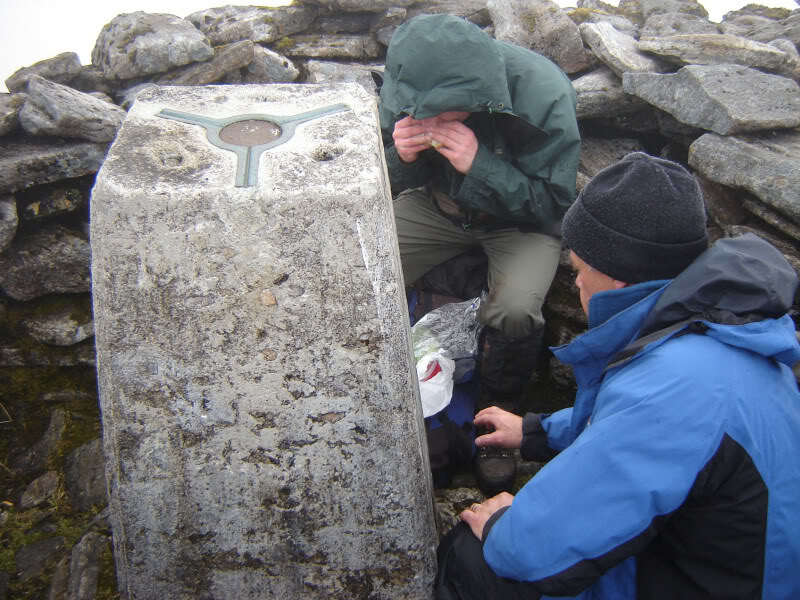 We then returned to the summit shelter before descending via the same route. 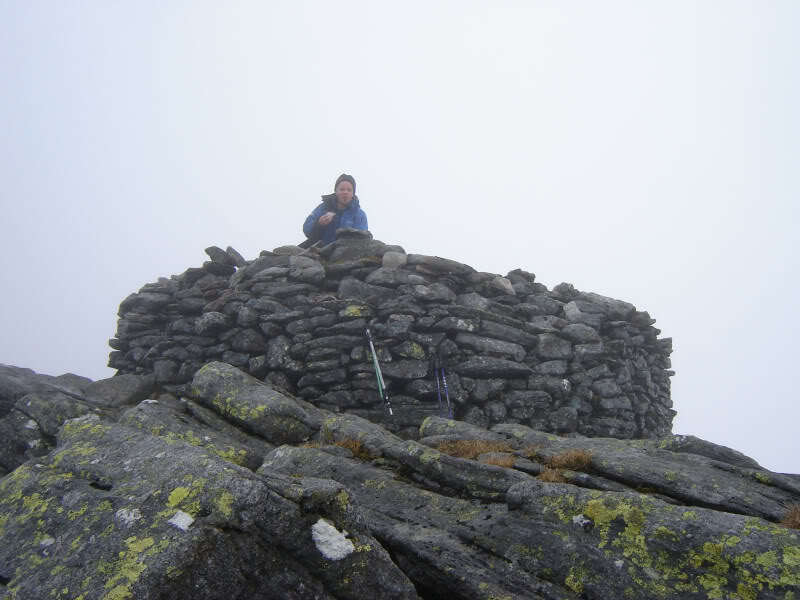 During the ascent the clag began to lift . 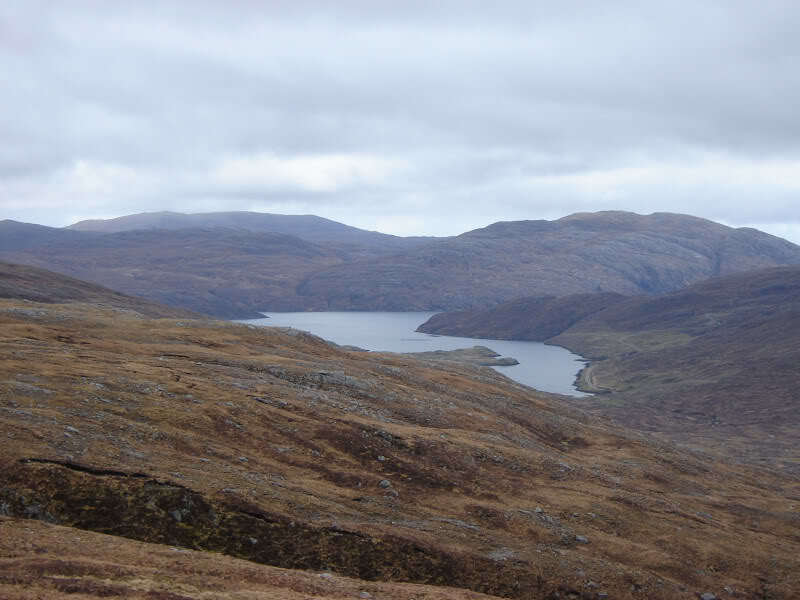 Hopefully good news for the next few days on Harris. 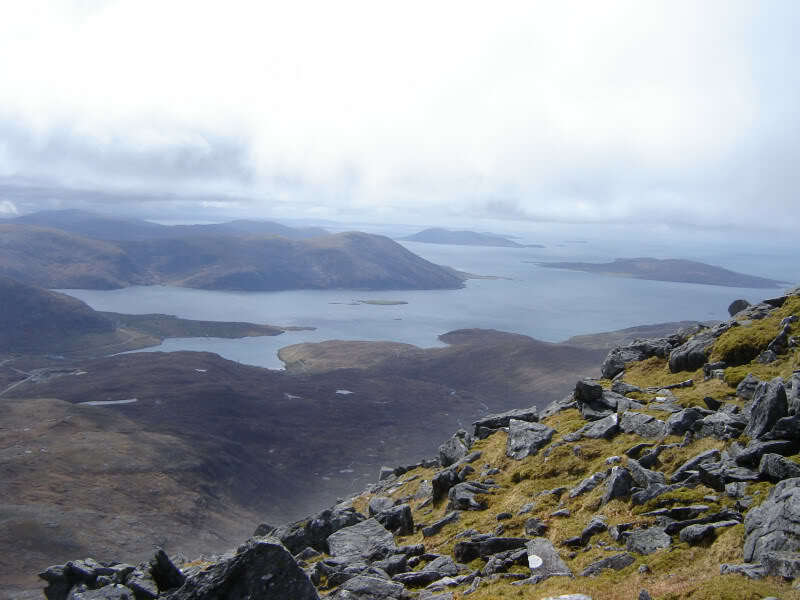 Clisham was my main objective in Harris. 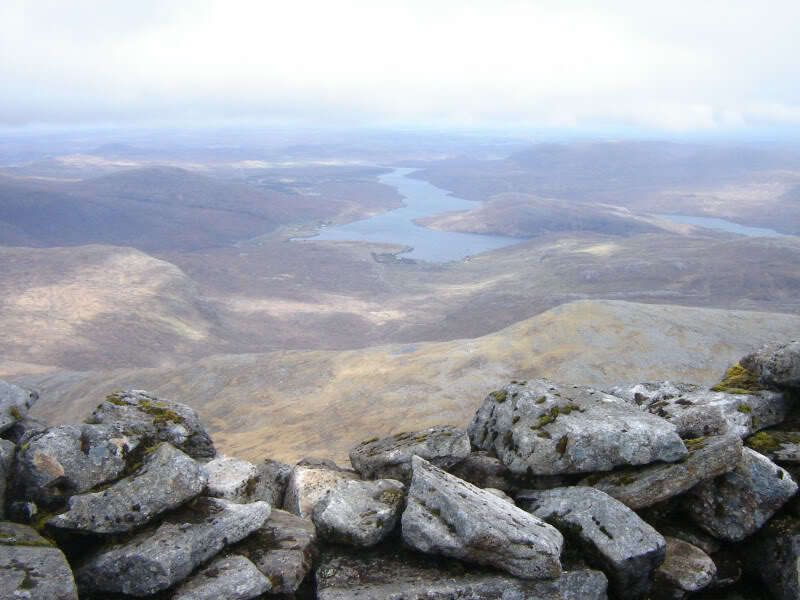 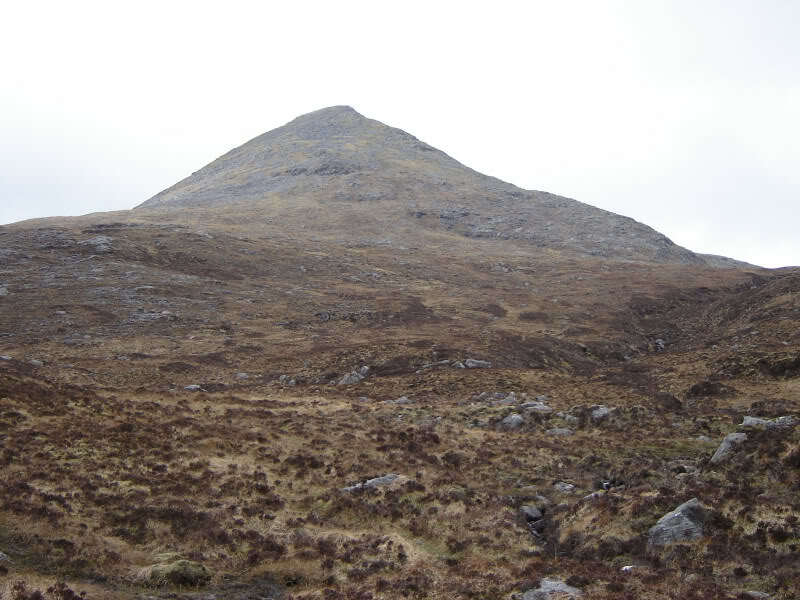 A good hill, but the best was yet to come on Tirga Mor, Oreval and Uisgnavel Mor .